Win a holiday with Bear Nibbles & Mountain Mavericks! Win a holiday to the French Alps with Mountain Mavericks & Bear Nibbles! Mountain Mavericks are very happy to announce our new partnership with Bear Nibbles! 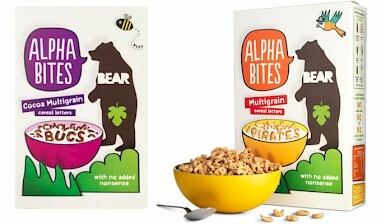 From the tastiest of dried fruit snacks, to Alphabite cereal – Bear Nibbles engage people of all ages with healthy ingredients in a range of shapes and sizes. The packaging also comes with fun travel cards, games and cartoon nutrition information – making kids (and adults) snack time a bundle of fun! The main aim for Bear Nibbles is to get people having fun whilst being healthy. A bit like Mountain Mavericks really? So it’s great to announce our new partnership! We have Bear Nibbles Alphabites available for kids across all our chalets, and we even have a little Fruit Yo Yo cupboard in the Mountain Mavericks Office to keep us motivated when we aren’t on the hill! To celebrate – we are throwing a massive competition! Fancy a FREE family activity holiday this summer with Mountain Mavericks in Morzine? All you need to do is head on over to Bear Nibbles ‘Time Cave’ newsletter sign up, enter your email address and wait for further instructions later this week from the Bear! Sign up to Bears ‘Time Cave’ newsletter here : www.bearcards.co.uk/timecave and visit their website for more information on their products. You will find their range in all major super markets and supermarket check outs. Previous: Summer Events in Morzine. What’s on? Next: Making money for Charity. Why Morzine’s community is so great!